We first got wind of Google's new email service when we uncovered it as Project Bigtop back in October 2014. Shortly after, the experiment saw the light of day as Inbox by Gmail on an invite-only basis, and then, in May 2015, was officially released to the public. 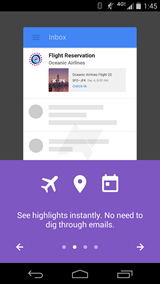 It was one of the first services to see Google's Material Design outside of the developer preview for Android 5 Lollipop. What made Inbox so special was its complete overhaul of how emails work – they essentially became tasks that you could check off once you were done with them. The service automatically bundled them for you and showed them in thematic stacks, and you could even create your own bundles — similar to how labels work in Gmail, but much easier to set up. Not only that, but it also automatically collected all your emails concerning a journey, pulled travel times from them, and put them in a neat collection, one for each destination. Throwback ... Tuesday? As you can see, the fundamentals of Inbox didn't change over its lifetime. Maybe because it nailed all features right from the start? 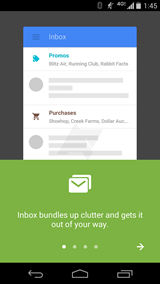 Inbox also allowed you to get rid of any other to-do app. Reminders showed up among your emails and became part of your workflow, just as you could save web links to the email client. All items could be snoozed, pinned, and annotated to help you get a better grip on your incoming mail. The service's stated objective was to help you achieve Inbox Zero, and to make emails work for you, not against you. Over the years, that formula didn't change drastically, just as the design grew stale and wasn't updated to more modern takes on Material Design. 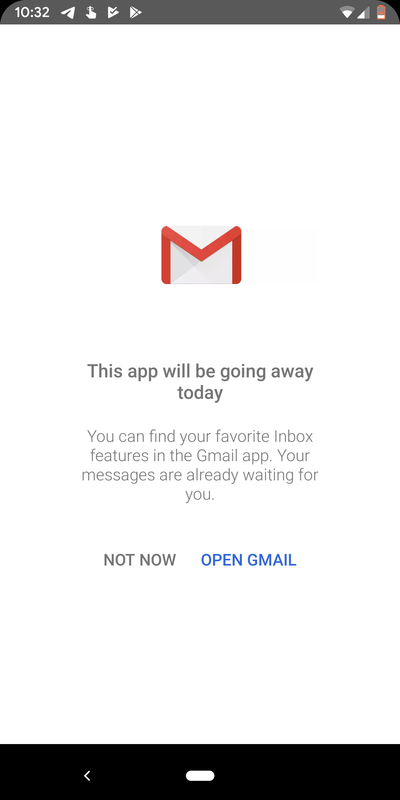 Once Google started taking away features last year, like Save to Inbox and snoozing to someday or a place, we felt that something was up — and as I wrote in the introduction, the service's death was announced just shy of its fourth birthday on September 2018. But true to the proverb "There’s life in the old dog yet," this might not be the very end of Inbox just yet — although what comes next is more of a zombie. First off, we can't guarantee that this hack is going to work at all if Google turns off some Inbox-related servers today. XDA Developers looked through the app's APK and noticed that the "not now" in the prompt to switch to Gmail after you open the app is set to just disappear after midnight GMT today. In order to keep the app going, you need to be rooted and run a shell command whenever you launch Inbox, which tricks it into thinking the countdown screen with the "not now" prompt is still active. Left: Inbox' switch prompt before midnight GMT. Right: Inbox' switch prompt after midnight GMT. Even though the XDA article recommends using a Tasker routine, I don't think it's a practical solution, as it will most certainly only work for a couple of days or weeks at most. You likely won't be able to access Inbox on the web anymore tomorrow, which would leave your phone as the only means to use it. If you're that addicted to Inbox that you want to cling to it as long as possible (which I can totally understand! ), you can check out the details over at XDA Developers. 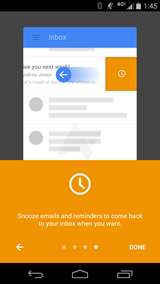 Although Google has always said that Inbox was a testing ground for its main email client, I'm still bitter about it finishing off Inbox without giving us a comparable solution. It was a service that made emails manageable and — dare I say — fun for me, and it's just sad to see it go. Google had all the time in the world to implement bundles in Gmail, so I'm not sure if we're going to see them at all. Especially since the company has the audacity to claim labels are just like bundles. No, they're not! With that, there's only one thing left to say: RIP, Inbox. You will be missed.